Piano Opening Hours: Monday to Friday from 6am until late, Saturday 8.30am until late and Sunday 10am until 5pm or after last performance. 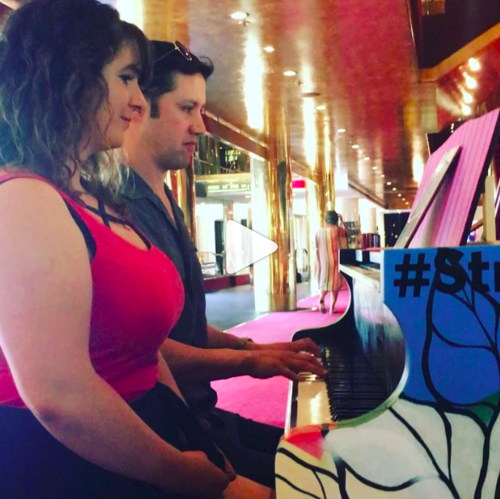 Piano donated by Susan Hayward and decorated by The Blender Studios. Hosted by Arts Centre Melbourne. 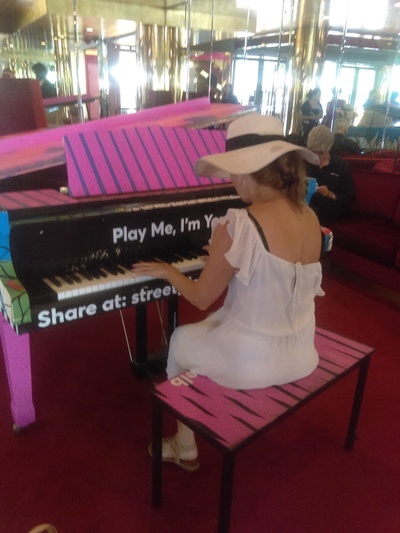 On holiday visiting Melbourne and took the opportunity to play and sing "Stay" by Rihanna. Love the concept! 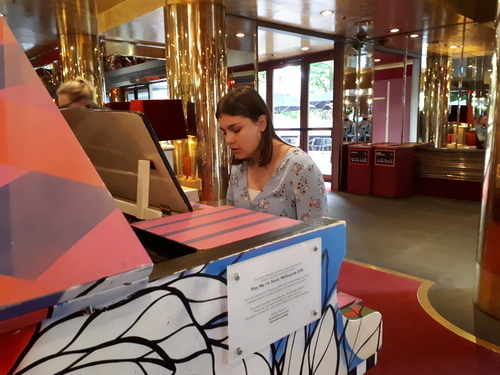 It was my first time to play on a street piano, amazing experience! BEST PIANO IN THIS AREA. 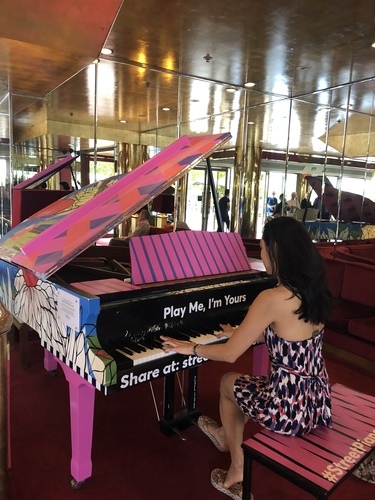 Highlights of the piano marathon by Dr Yvonne Ho AM of Charteris Music School. 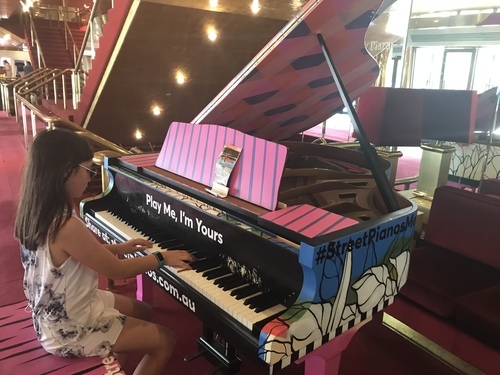 She travelled 170 km, and played all 21 beautifully decorated pianos scattered across Melbourne in one day. 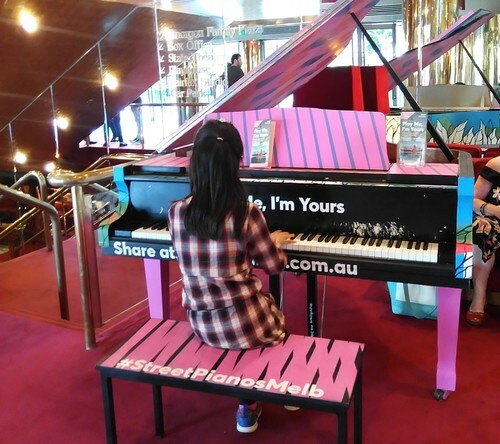 These pianos are part of 'Play Me, I'm Yours', an internationally touring art and piano music event by UK Artist, Luke Jerram, brought to life in this vibrant city by the Arts Centre of Melbourne as part of the Betty Amsden Participation Program. We are an innovative music school that brings fun to music achievement and inspires creativity. 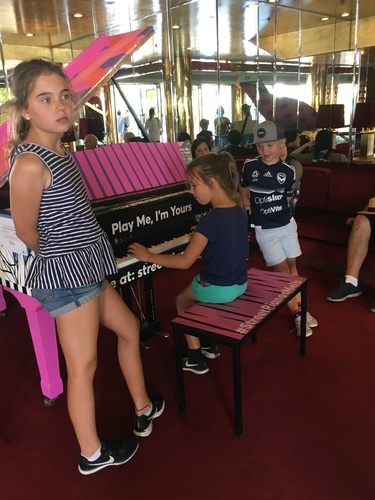 Piano Marathon by an 11-year-old. Happy Birthday to you Mozart for the 27th.